NEW YORK - SEPTEMBER 29, 2016: Subway Train Passing Through Lafayette Ave Station Interior MTA Carriage Window View In Brooklyn NYC. Brooklyn has a population of 2.592 million residents. 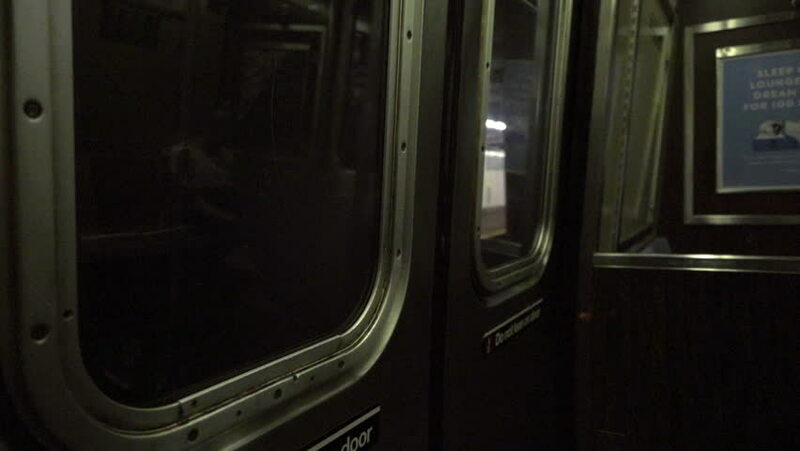 hd00:15NEW YORK - SEPTEMBER 29, 2016: Subway Carriage Interior In Motion Moving Train Window View Of Other Train Across Track Passing In NYC. MTA serves the 5 boroughs of the city with a transit system. hd00:57CIRCA 1950s - A cartoon portrays the representation of how synthetic rubber is created in 1954.
hd00:15A man walking up to a door and knocking.